There are many reasons why people choose to go gluten free. It can be about taste, well-being, lifestyle, or a health condition. However, one thing for sure, when they either decide avoiding it or definitely going gluten free, they start to freak out: “what am I going to do without bread? without pasta? without cake?”. One interesting exercise is going to the supermarket and paying attention to the huge variety of products that are available and targeted to consumers looking for options that are healthy and gluten free. Next step is to decide amongst these options which of them you are keen to try and bring home! We know wheat flour has its own set of properties that results in distinct texture, flavour, volume, and shape to our recipes. However, by combining different types of gluten free flours you can get a similar result as if you were using the gluten star: wheat flour. It has a mild flavour and gives a light texture to your bakings. I love to use them on cakes, cupcakes, pancakes, chewy cookies, and muffins. As they don’t absorb too much liquid you can use almost in the same proportion as if you were using plain flour. 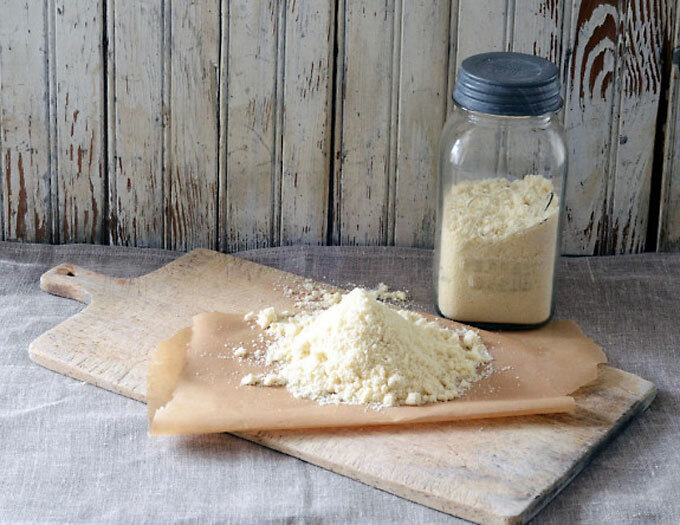 Cassava flour is quite new for the world in general, but in Brazil it’s very common, especially for those who live in the Northeast part of the country. I love this flour, it has a mild flavour, it’s good for cakes and breads and its texture is almost the same as using plain flour. To be honest, anything made with it is YUM! A good low carb version full of fibre. You must be wise when using this flour, as it absorbs too much water you might end up with a hard and dry dish. I normally use it in small quantities to add more fibre to my bakings or when I’m making something that does not require too much flour or uses many wet ingredients. This is a good option when you need to bring that elasticity only gluten can give. As Tapioca starch is not the best option when you think about nutrition, I use it in small quantities, only to help me giving that bounce in bakings. Full in fibre, also absorb liquids. I recommend to use it in moderation, only to give a nutritional kick to your recipe or when the recipe needs small quantities of flour. Also, it is a good replacement for eggs. This one is awesome either in cakes or bread. Like tapioca, it helps giving elasticity and bounce to your bakings. And the best part is: it’s high in protein and has a mild flavour. If you want to go easy, rice flour can be used 1:1 in any recipe, but as it is a grain (and I try to avoid this group) I normally don’t use it. However, it has a neutral flavour that helps a lot when you start to move from wheat flour to wheat free. I love this one! It’s full of fibre and low carb. As it easily absorbs liquids I normally use in small quantities. When you think about a gluten substitute, psyllium is the one. It gives elasticity, bounce and helps to keep its distinctive shape.